Eigo de Asobo (えいごであそぼ) | personal.amy-wong.com - A Blog by Amy Wong. 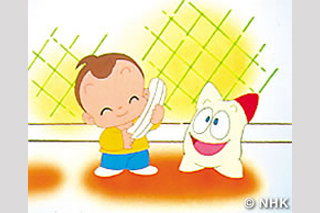 According to Japanese Wikipedia, the show began in 1990 and went through several changes (as apparently many Japanese kids shows do), even changing the logo in its first years. The period I’m referring to is supposedly known as Happy Land (ハッピーランド), and it featured the English speaker host, Christer Chiari (Sister Chris, or Chris Oneesan), who at first sight looks as rounded-eyed as someone can be, BUT to Occidental people she might look Asian, I don’t know. LOL’ According to Wiki, Chiari was born in Japan to her French father. She’s doing a whole lot more voice acting, and has a website (link here). The show had songs, and puppets… a green oval thing that was really short named Eddie, a pink Tony the Tiger type of character named Pepper, and a child vixen named May. There was a dude that sang songs (and still does, I think), and another guy who did the gymnastics (these Japanese kids have so much gymnastics in their shows!!) with a segment called Workout 2. That was fun and my fave part of it, ha! 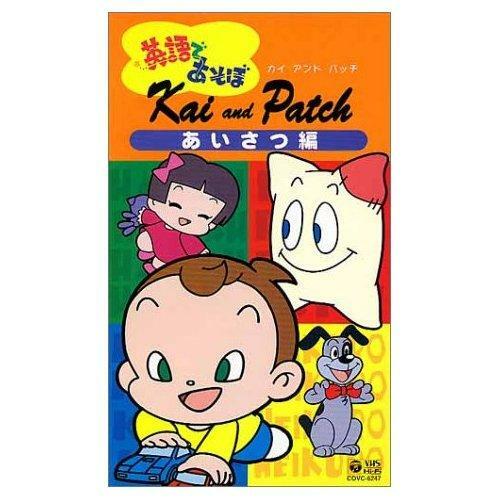 During the show, they also showed an animated segment called Kai and Patch, about a little kid (really little, because he still sleeps in his crib) and his fellow Patch, his talking and moving Pillow. 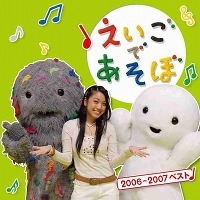 There isn’t much information about that, but I managed to find it on Amazon.co.jp, and on a Program Finder website. Anyway, that’s it. I will leave you with some photos, and a funny from Google Translates not for the children.